Caring for a sick chicken can be tricky. You want to keep the chicken separated in case she's contagious and also so she doesn't get picked on, but you don't want her to lose her space in the pecking order. Leaving her in with the rest of the flock though can be a bad move as chickens will often peck at wounds on other chickens. Plus you don't want an illness to spread through the whole flock. So what do you do with a hen when she's sick? Where do you put her while she's getting better? 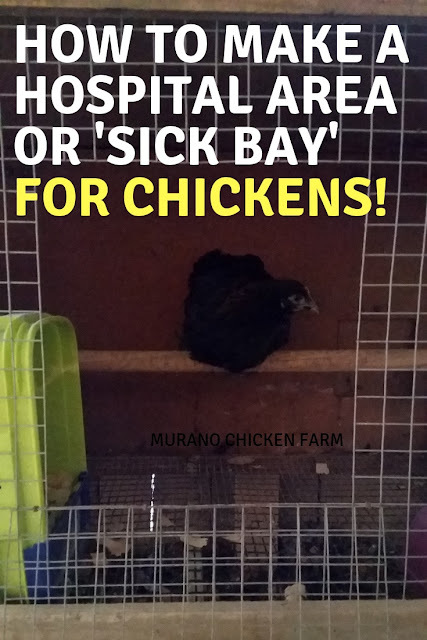 You'll need a small hospital cage or 'sick bay' for your ill or injured chicken. Luckily it doesn't have to be anything elaborate. A simple dog crate or large pet carrier will often do, or even a small bathroom that's rarely used. Where do you put the chickens hospital crate though? Should it be inside the coop or in a different location entirely? Well, it depends on what's wrong with the chicken. As the weather warms up and the days get longer all the hens are starting to lay now. Once a hen starts laying eggs she may go broody and want to hatch those eggs. Or is she just acting weird? Maybe the hen is sick? How do you know if your hen is broody or not? There are a couple different clues a hen will give you when she goes broody. 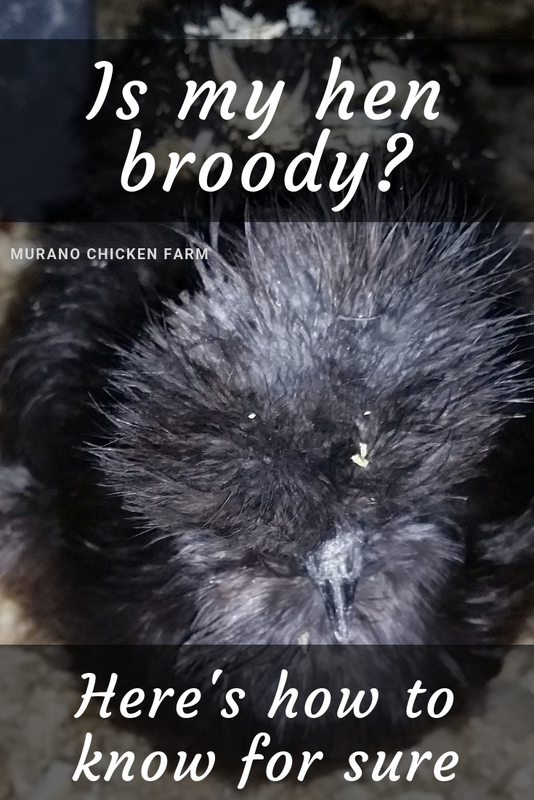 Broody behavior is not like any other type of behavior but sometimes people confuse it with the hen being sick or just at the bottom of the pecking order. A sick hen will sometimes hide in the nest box and not want to come out to eat, get treats or get attention. These are also hallmarks of the broody behavior. Luckily there are a few other behaviors that a broody hen is known for that will tell us whether she truly is broody or if there's something wrong with her. Decorating eggs for Easter is a little bit different when you have your own chickens. Brown eggs just don't dye the same as white eggs do. Gone are the pastel blues and pinks and in their place are darker, more earthy colors...which are still pretty, just not the same. Trends like the silk tie egg dyeing method just don't work as well on dark eggs. Which is a pity because there are some seriously cool egg decorating methods out there! You can color brown eggs for Easter, it's just a matter of finding the right technique. One of the big trends in Easter egg decorating this year is gold, silver and copper. Unfortunately egg dye kits don't come in these colors which leaves people turning to metallic sharpies, paint pens and spray paint. Though they do make for some pretty eggs, those are all toxic. Since eggs are porous and the bloom has been removed by washing then boiling the eggs, there is a very real probability of the chemicals getting into the egg. 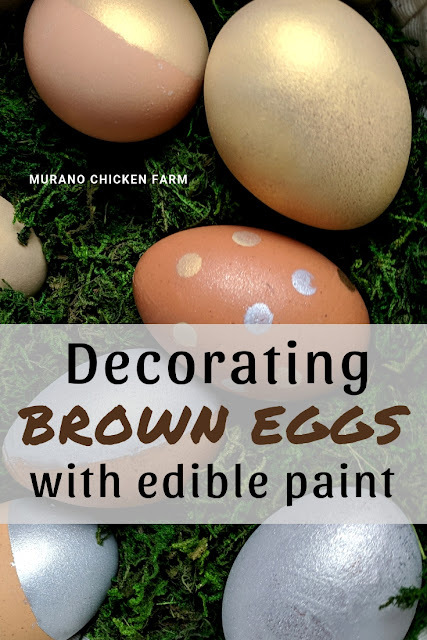 So I set out to find some type of edible food color that I could use to decorate my brown eggs. Feeding chickens can get really expensive! Many chicken keepers like to cut their feed costs by growing some feed or treats for their chickens. Sunflowers are an easy to grow feed source for chickens that blend in perfectly in any yard or garden. Since black oil sunflower seeds are a favorite treat of most chickens it just makes sense to grow your own! There are several types of sunflowers you can grow for chicken feed. I've grown everything from the black oil sunflower seeds that you commonly buy for chicken treats and the common mammoth sunflower, to ornamental Teddy Bear sunflowers. The larger sunflowers obviously produce more sunflower seeds. They also produce larger seeds. Each sunflower head produces between 1000-2000 seeds! Smaller ornamental varieties don't produce as many seeds but the seeds they do produce are still edible. Many of the sunflower varieties have been developed more for the flower than the seeds, so you might have to try a few varieties and see what produces the most seed for the type you want to grow. Ornamental varieties are usually small enough to fit into flower gardens or even containers. Which is great because no matter what the size of the garden spot you have you can find a sunflower to fit! Even most ornamental varieties it will still produce feed for your chickens. Every bit of feed that you can grow makes the feed bill cheaper! There is absolutely nothing better than a fresh egg right from the chicken coop for breakfast. It is why we keep chickens isn't it? Unfortunately sometimes things go wrong and when you crack open your fresh eggs for breakfast, something doesn't look right! The first time I saw a meat spot in a fresh egg I knew what it was and that sometimes that happens. No worries. The first time I saw blood in a fresh egg though, I just about panicked! 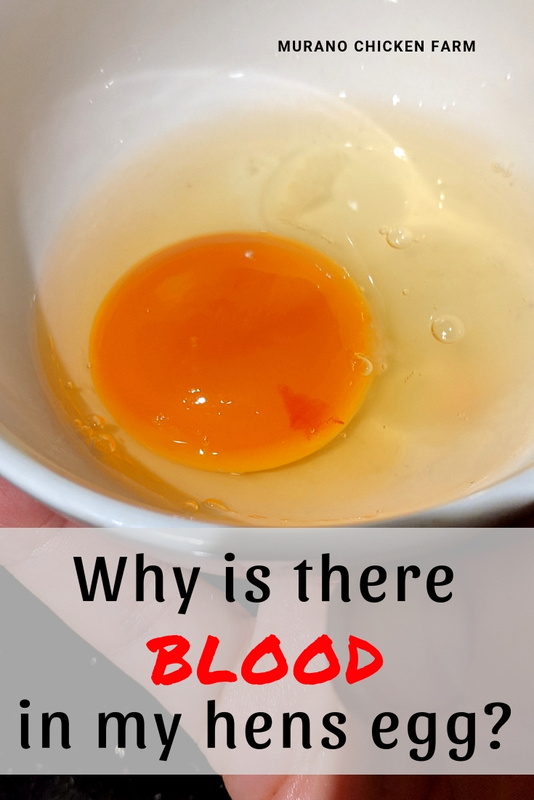 Blood spots in eggs are also one of those things that just happens sometimes. A glitch in the system per se. However, many of us have had a lifetime of store bought eggs and have never seen things like blood spots in a fresh egg, or meat spots. We only rarely see double yolkers. These can come as quite a surprise the first time you see them. It's not that hens that lay those commercial eggs don't have the same problems, they definitely do! However, the eggs get candled before they're packaged and shipped out to you...so that stuff never makes it through the process. It's a simple case of out of sight out of mind. We never see these little flaws in commercial eggs so we assume they don't happen.